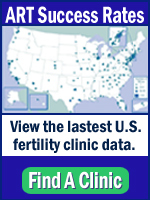 Fertility Lab Insider listed among top web sources for infertilty info	 Time Lapse Embryo Imaging: How it may change IVF. Sometimes family members do much more to help with infertility treatments than provide emotional support and advice. Some family members may donate gametes or carry a pregnancy for a relative. This act of generosity can make the difference for some couples but also has the potential to cause family rifts if entered into without sufficient advance planning. The ASRM Ethics Committee has issued new ethics guidelines in their report “Using family members as gamete donors and surrogates” which can be downloaded for free on the ASRM website. It has tons of references for those who want to dig deep into the social sciences aspects of third party reproduction. The Ethics committee considered various donation/surrogacy arrangements between first degree relatives and suggested that some arrangements should be either prohibited or discouraged. Arrangements that create an increased risk of genetic problems for offspring should be prohibited. Reproduction between close blood relatives can result in a 1.7%-2.8% increased risk of major birth defects and genetic diseases over the risk of 3-4% in the general population of unrelated partners (1). Arrangements that created the impression of incestuous relationship should be discouraged according to ASRM because of subsequent social and family relationship problems that could arise. Brother donates sperm to sister but sister uses non-related eggs from a donor. Father donates sperm to daughter but daughter uses non-related eggs from a donor. I have observed proposed donor arrangements between niece and aunt, or younger cousin and older cousin, or gestational surrogacy by son’s girlfriend for son’s parents that created concern among the IVF team that the younger person in the arrangement was being pressured to agree to donate eggs or act as a surrogate. As a general principle, donors and surrogates should have independent access to medical care, psychological counseling and legal advice from different providers than those providing services to recipients so that neither party is a second-class citizen in the arrangement. ASRM recommends that if the IVF program can not accommodate this need for independently provided services for donor and recipient, it is more ethical to refer these cases to other programs that can. Gamete donation between an older relative and a younger relative may also be a poor idea medically because older sperm or older eggs are more likely to produce offspring with genetic issues. In the case of gestational surrogacy, a mother-for-daughter surrogacy arrangement has to be evaluated to determine if the older mother is healthy enough to carry a pregnancy. All of these arrangements also increase the complexity, both socially and genetically, of familial relationships. For instance, a sister who donates her eggs to her sister is the biological mother but the social aunt to the child. It should be obvious that the implication of these relationships need to be discussed thoroughly among affected family members before a child is created. Citing the lack of specific data, the ethics committee refrained from commenting on whether conception by egg or sperm donation within the family is deleterious to the children produced from these arrangements. We simply don’t have sufficient data to know how donor-conceived kids are affected particularly for intra-familial donation/surrogacy. My guess is the impact on children will vary considerably based on how well prepared family members were at the front end, how they handled issues of disclosure and how the family dynamics played out over years. Another issue that arose in studies was whether the spouse was on-board with their partner’s decision to donate or act as surrogate. If they were not wholly supportive, it could cause serious problems, even divorce, in those partnerships as time went on, especially if children were conceived, creating more complex familial relationships. Family cohesion over time also depended on whether the ‘collaboration” was successful. If the donation or surrogacy failed and no child was born, this had the potential to strain the relationship between donor and recipient couple. Alternatively, if a child was conceived with serious health problems, relationships between donor and recipient couple could also become strained. One could imagine scenarios (medical condition in the fetus or life-threatening dangers to the surrogate) where family members could disagree on whether the pregnancy should be continued or terminated. Even when the outcomes were good and healthy children were born, some donor/surrogates reported feeling under or un-appreciated after the fact. Some donors may find it difficult to take a secondary non-parental role in the life of the donor-conceived child, causing issues with the intended parents. It may take a village to raise a child but not all villages are equally capable at raising these donor-conceived children. For couples for whom genetic kinship is important, being able to use gametes from their family members makes emotional sense. Finding donors and surrogates within the family can make financial sense too. Surrogates who are family members are often not financially compensated for being surrogates (although expenses would be covered) , making family surrogacy more affordable than hiring a surrogate through an agency. Likewise, anonymous egg donors found through an agency, egg bank or clinic are likely to be more expensive than having a sister donate to her sibling. Some couples are surprised to learn that the FDA requires related sperm donors to submit to the same STD testing, six month sperm quarantine and retesting before the sperm can be used as is required for anonymous sperm donors. Because the family sperm donor is generally not in an intimate relationship with the recipient, they pose the same theoretical infection risk as an anonymous donor-so donor STD testing and quarantine rules apply. Quarantine for egg donors has been waived largely for practical reasons: freezing eggs has not been as technically successful and the risk of disease transmission posed by egg is arguably much lower than that posed by sperm. It is important to note that not all programs participate in third party reproduction and some will participate in some types of intra-family third party donation but not others. Also, state laws differ widely on whether to allow surrogacy at all or if allowed, whether surrogacy arrangements are given any legal standing. In some states, intended parents must legally adopt their biological child because only the person giving birth is recognized as a legal mother and the legal father may be defined as the person married to the surrogate. The bottom line is that while it is understandable why couples might want their families to help with either gamete donation or surrogacy, no couple should rush into these arrangements without an abundance of discussion among themselves, their family members and professionals (medical and legal) who have experience with these arrangements. Bennett RL, Motulsky AG, Bittles A, Hudgins L, Uhrich S, et al. Genetic counseling and screening consanguineous couples and their offspring: Recommendations of the national society of genetic counselors. Journal of Genetic Counseling 2002;11:97–119. © 2012 – 2015, Carole. All rights reserved. I think that’s probably why every egg donor I’ve ever seen express her opinion on the subject says very clearly that she does not consider herself the mother of the resulting child/children: because women typically don’t consider themselves mothers unless they either gestated and gave birth to, or raised a child. In contrast, throughout human history it’s been possible for men to be fathers without having anything to do with the pregnancy, birth or child-rearing. Is gestating the child a biological process? Is it something the mother does with her body, her own biological processes, etc.? Of course it is. I’m sure there will be a lot of back-and-forth on what exact terms to use–if you want to use the word “mother” for a donor, maybe “genetic mother” is the most accurate term? But whatever terms we end up using, “biological mother” is just not appropriate for an egg donor, because the donor only contributed one of the two components of biological motherhood–and not to mention, she contributed the easiest, fastest one. A sperm donor is a biological father because that’s all biological fatherhood is: contributing a gamete. But that’s not all that biological motherhood is. So personally I think, if you want to use the word mother, “genetic mother” is appropriate for the egg donor and “biological mother” is appropriate for the recipient. My husband was a sperm donor to his brother and sister-in-law several years ago. Thank you for writing this article. Yes, I believe the long-term effects to the child of this type of non-traditional process is directly tied to the couseling and expectations that are set down ahead of time. We jumped in and did this with no counseling, and the results were awful. All the relationships have fallen apart. I found for ourselves that this emotional and obsessive concern about “what we call the father/uncle/biological/social father” etc actual is the result of extreme insecurity with the end role of the recipient. The children will grow-up to love and be connected to their parents (the day-to-day caretakers) but also be attached in some way to the people who gave their genetic material. The children should drive the relationship – not the recipient caregivers. And this is of course difficult – the recipients go into the process, often subconsicously, with a vision of getting “the material” and then having the same experience of parenting that one would have who did not go outside their relationship for genetic material. It doesn;t work that way. If adults choose to bring “another” into the creation of a child – they need to be comfortable with the reality that that person cannot simply be erased- it will be the child’s choice to define that person’s value in their life. I’m a woman dating another woman and I would like to use my father’s sperm to impregnate my girlfriend when it’s time for us to have kids. Similarly, I would like to use her half-brother’s sperm to impregnate myself. That way, her kids will somehow be related to me and vice-versa.